Enter the form below for your chance to purchase one pair of the Off White x Nike Air Presto White Sneakers via our raffle. 1. The Standard Terms apply to this Raffle. 2. The Off White x Nike Air Presto Black Raffle starts at 8:00PM BST on 27 July 2018, and ends at 9:00am BST on 3 August 2018 (the “Competition Period”). No entries after this time will be accepted. 3. To enter: (i) Like the @brownsmens Instagram page (ii) fill out the form by entering your personal details and US shoe size during the Raffle Period in order to be eligible to participate. One entry per customer will be accepted. 4. 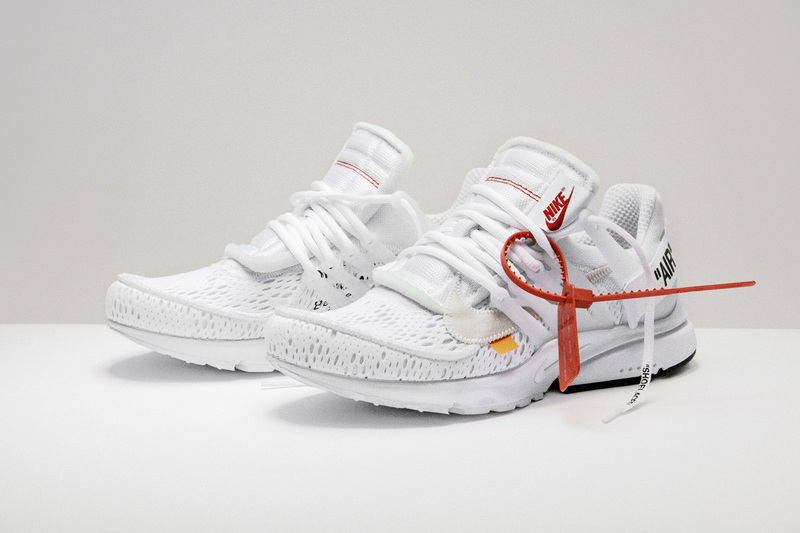 Entrants will be drawn at random by Browns and given the opportunity to purchase one pair of Off White x Nike Air Presto White Raffle sneakers to the value of £130. 5. You must be 18 or older on 27 July 2018 to enter this Raffle. 6. Winners will be announced by Wednesday 8 August 2018 by 7:00PM BST via email only. 7. Winners must place their order with a valid Debit or Credit Card within 24 hours of being notified. 8. This Competition is not open to customers who require items to be delivered outside of the U.K.
9. Browns have the right to refuse a purchase if entrants and/or selected winners do not meet the criteria of the raffle, try to create multiple entries/email addresses or are deemed to be resellers. 10. By participating in this Raffle, you agree to be bound by: (a) these Raffle Terms (b) the Standard Terms, and (c) the decision of the judges (if applicable), such decision of the judges being final in all matters relating to or otherwise connected with this Raffle (including the terms on which Browns and/or the judges award or have awarded a Prize). Due to the large volume of entries, only successful applicants will be contacted. There will be no in store collection. By entering your email you're consenting to receive future correspondence from Browns.